“It’s island time,” as they say in Galveston. Here’s a look at what Galveston has to offer. Online registration has closed, but on-site registration will be available. The brochure with agenda details can be found here. 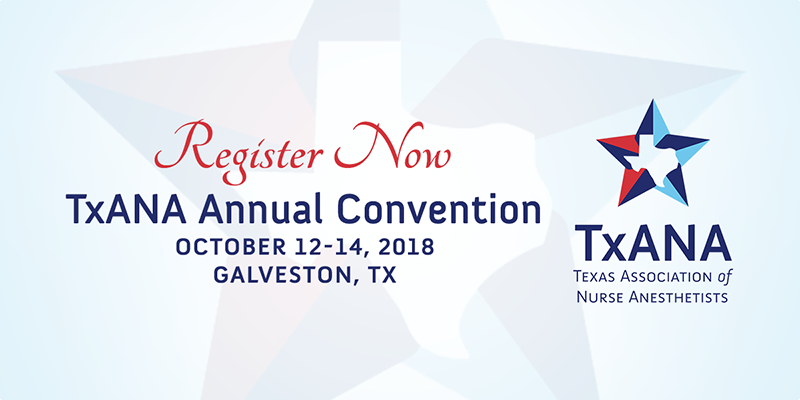 Are you attending TxANA’s 2018 Annual Convention? If so, tweet us @CrnaTxANA and use our convention hashtag #TxANA2018 to tell us what you’re looking forward to or why you plan to attend. The room block has closed, but reservations can be made here. Sponsorships are no longer available, but keep track of our future events here. *TxANA reserves the right to change the schedule.